Live Readings of famous screenplays, old-style musical performances accompanying film screenings and supporting filmmakers before, during and after their actual shooting takes place. Film Independent at LACMA has three specific programs and event series that the HFPA has supported over the years: LIVE READ has been immensely successful and interesting, where name actors, directors and writers have put on a stage reading of famous films. Olivia Wilde directed one such event, Quentin Tarantino another, among many more. Particularly compelling was the live read of True Romance which brought not one, but both protagonists back together: Christian Slater and Patricia Arquette. LACMA then partnered once again with Film Independent to introduce an exciting program to the community at large, titled BRING IN THE NOISE. This platform features six evening programs featuring screenings of classic and cult films accompanied by contemporary musicians giving live musical performances. Curator Elvis Mitchell, for instance, collaborated with Quest Love, who served as guest artist in residence. Selected films have their music track isolated and removed – then during the screening, a musical score is played live by a varied array of musical artists – which will consist of fresh, original and unexpected compositions. And it is almost as if the audience is transported back to the times when a live orchestra played in the pit during the silent era. Long running has been their signature program PROJECT INVOLVE, dedicated to fostering the careers of talented filmmakers from communities traditionally underrepresented in the film industry. 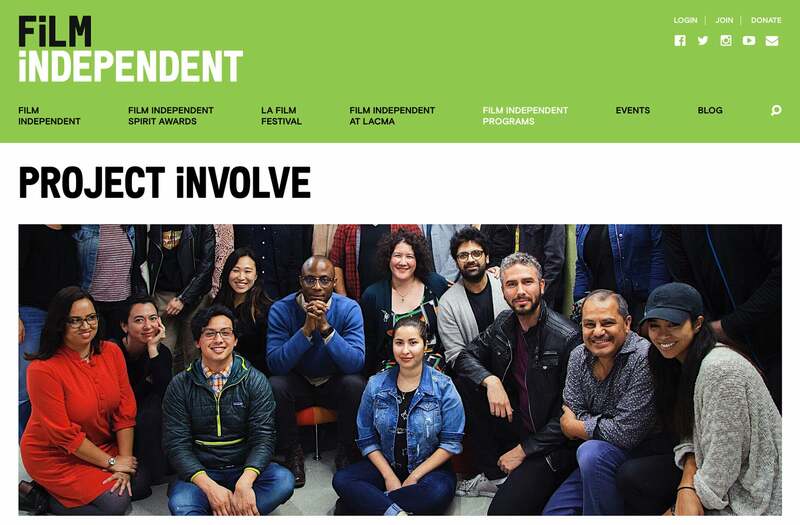 Film Independent helps those filmmakers make their movies, build an audience for their projects and work to diversify the film industry. With over 250 annual screenings and events, the organization provides access to a network of like-minded artists who are driving creativity in the film industry. Their mission is to champion creative independence in visual storytelling and support a community of artists who embody diversity, innovation and uniqueness of vision.